Hey there! This time we will try to skip the usual apologies. If you want you can go back to one of our previous posts and read those there again! Instead of looking to the past, let us look at the present and the future. As a little overview of where the game stands, we present all of the points from our Roadmap after the alpha testing, and whether we implemented those already. Additionally, we have added even more features that you can also find in the list below. New Journey Types – We have added Verification, Destiny and Invitation journeys. Verification journeys will send you to dungeons that have not been verified yet - the loot you will find here is much better than in normal journeys (and you will verify it in the process). 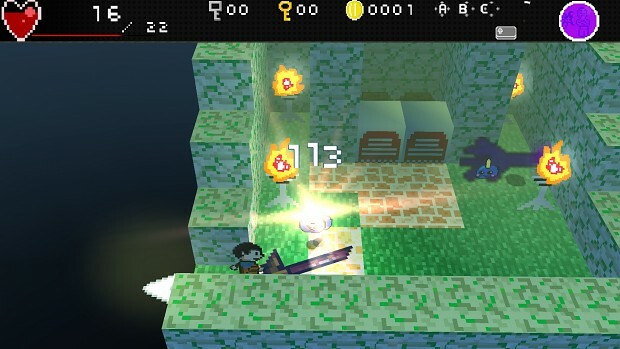 Destiny journeys allow the player to experience the story quests of Dungeon Deities. Finally, friends can leave you a message to invite you into their dungeons. Gear – We have added equipment to the game. You can now go on your adventures equipped with the most powerful weapons and steel armor that offers the best possible protection - and of course in every dungeon you might just find something new. Character Progress – For every enemy you have killed, every dungeon you traversed and every quest you successfully finished you will be awarded experience points (XP) and soon you will level up to the next level. For each level-up you will get skill points which you can spend on one of your attributes. And you might be finding yourself in longer and harder dungeons. Global Dungeon Options – You can now choose the music that plays in your dungeon out of a list. You can also set the atmosphere of the dungeon, and select one of several environmental effects, if you want it to rain or for earthquakes to happen. Damage System –Attacks now have elemental types assigned to them, and different elements have strengths and weaknesses against each other. Attack fire ghosts with water for more damage - and if you are lucky, you might just get a critical hit, killing your enemies with ease. And while we are at it, those awful monsters tend to miss lucky players as well. Status ailments - Dungeon explorers will now experience status ailments when fighting enemies that cast elemental attacks. You can be set on fire or get confused during a battle. Reworked Dungeon Statuses – You now have more control over your dungeons - handy during creation. Set it to one of four different states: Construction, Test, Verify and Active. Test dungeons can only be traversed by you, dungeons in the verify status are open to verification by all. 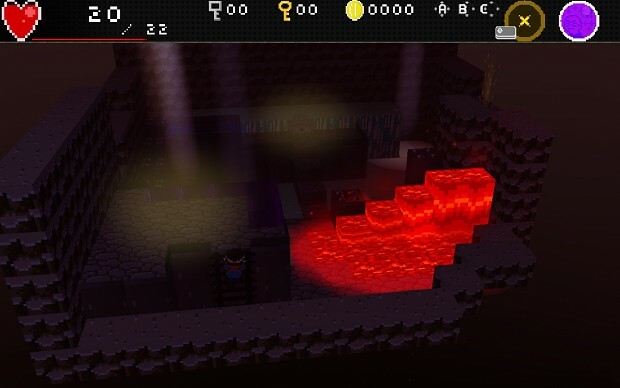 Once this is done, the dungeon is active and can be traversed during a normal journey, ensuring that every dungeon you play (unless you explicitly choose "Verification Journey") is possible to finish. 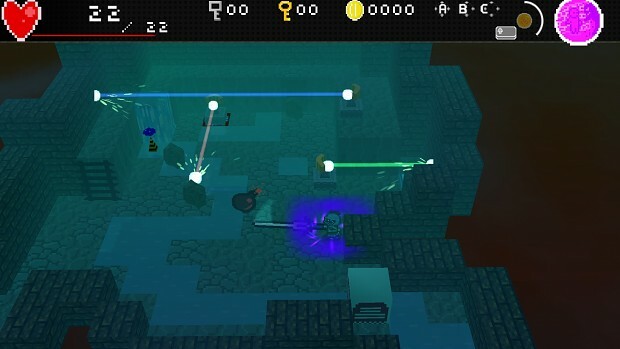 Dungeon Level – Every dungeon's difficulty is automatically rated as players traverse them, to make sure that we choose a good dungeon for you to play in your journeys. Dungeon Decoration - A complete new class of parts you can now add to your dungeons! Decoration elements can be placed like items, but do not serve a specific purpose. They just make your dungeons that much prettier. Signs - Add signs to your dungeon with custom text on them. Tell stories with your dungeons, or give your rooms some unique flair. Bosses -You now have the chance to acquire one of the rare boss teleporters that you can place instead of a golden chest. Heroes will have to enter them and then fight one of the most terrible creatures in the world. Konyak -Experience a strange smell? The shop got more expensive? Or do you find yourself weaker than usual? You may have been cursed by another player with the help of the resident witch of Violet Land: Konyak! Curses make your adventures unpredictable, and are just a cool way of getting back at the player who stole your favorite orb. Sr Cosca – There is a new boss in town: Senior Cosca. He offers his services to everyone who has some spare change. Once you pay him, he looks for some gear to steal in your target's home. Violet TV - What happens in Violet Land? Tune in and find out! Check the TV in the throne room to see our eccentric cast of characters show you the news. Find out what challenges you have to face, and what new features have been added. Or just enjoy their banter. Community Features - You now have a friend list - so feel free to add players to it that you like! You can send private messages to other players, see their statistics and active dungeons and invite them to traverse your dungeons. Homepage and Client Design Rework – We did a complete rework of the homepage design in order to give it a better look and provide a consistent user experience. And the same is true for the client - its much prettier and much faster, with beautiful new character models, nicer effects and higher resolution. Achievements - There will be achievements in the game that give additional XP for completion. See, we know what happened in the game industry in the past decade! Dungeon and Player Statistics (partially implemented) – You will be able to see - among other things - the distance you walked in dungeons, how many players managed to get through your dungeons or how much money you spent in the shop for tiles. Foe List – People who steal orbs from you, curse you or steal gear from you can be added to your foe list. These players can then be chosen as a target to be cursed or stolen from. Revenge! It keeps Violet Land's economy going. Improved Booster Packs – The booster packs sold in the shop will give a better, but random selection of items. Perfect when you are just starting out and need a good variety of lots of tiles! Minimum levels to use specific features or content (partially implemented) – We already implemented minimum levels for dungeon items and gear. We also want to add minimum levels for the use of specific features in order to not flood a new player with way too many features. Tower War - The war between red and blue kingdom can be fought by building towers or destroying towers of the enemy. Every tower hold by a faction will add buffs to the players of the corresponding team. Feel free to spend some money to destroy enemy towers. Quests –Some dungeons you will traverse will be part of quests that tell you a little story and give extra XP and items for completion. These might get postponed to a later version. As you can see, there's quite a lot of features! And those aren't even all we've implemented.